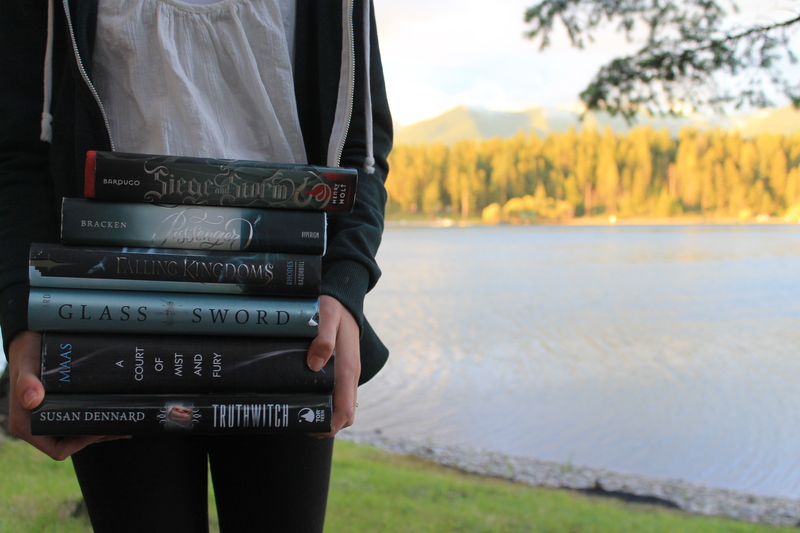 Summary from Goodreads: Seventeen-year-old Audrey Rose Wadsworth was born a lord’s daughter, with a life of wealth and privilege stretched out before her. But between the social teas and silk dress fittings, she leads a forbidden secret life. 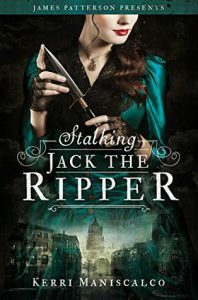 Stalking Jack the Ripper is everything I’ve ever needed. It’s set in one of my favorite time periods, the Victorian era, and is full lots of things such as murder and bringing back the dead. This book was just so cool and I loved it so much. A few years ago Audrey Rose Wadsworth became very ill. When she recovered, her mother died from the disease. Now, Audrey Rose has decided to begin apprenticing for her Uncle Jonathan who works in autopsy. When “Jack the Ripper” begins murdering women in London, Audrey becomes immersed and obsessed with discovering who he really is. Thomas Cresswell, her uncle’s apprentice, and her work together to solve the case while falling in love without even realizing it. “Oh? Where in a medical dictionary does it say a woman cannot handle such things? What is a man’s soul made of that a woman’s is not?” I teased. “I had no idea my innards were composed of cotton and kittens, while yours were filled with steel and steam-driven parts. I loved Audrey Rose. She defies all the norms of a Victorian woman by studying autopsy and forensics and is also quite feministic. While women during her time were considered far less superior than men, Audrey Rose firmly believes that women and men are equal. She hates how women are treated and isn’t afraid to stand up for herself and other women because of it. I really liked this part of her, especially because in most historical fiction books, the main characters just kind of go along with it, but Audrey Rose does not. I found her to be a very unique and interesting character. Shes fascinated by death and the science around it, but also loves gowns and dressing up (I totally get that though). Thomas Cresswell was another great character. He’s snarky and sarcastic, but also very passionate and determined when it comes to figuring out who the killer was. Thomas is extremely clever and intelligent as well. Like Audrey, he comes from a very wealthy and high up family. Kerri Maniscalco does a really good job with characterization. All her characters were flawed and two-dimensional. They were all very interesting, too. Maniscalco was easily able to make me really care for the characters, even the side ones. There was romance, but it was mostly background. Audrey Rose and Thomas are much more involved in solving the mystery than their romance and I really liked that aspect. A lot of times it seems that characters put aside more important things to be in relationships, but Audrey Rose didn’t. Her and Thomas make such a cute couple though. I really enjoyed the plot as well. The whole forensics and autopsy thing really intrigued me, but even more so when Thomas and Audrey Rose begin their search for the killer. It kept me wanting more and I couldn’t seem to put this book down, that’s how into it I was. I was in a bit of a reading slump and had a hard time finishing anything, but now that I’ve read this, my reading slump is completely cured. It is pretty slow paced though, like most historical fiction books are. Because of this, it took me some time to really get immersed into the story, but by page 120ish I couldn’t put it down. If I hadn’t been so worn out, I probably would have stayed up until four in the morning to finish it. The setting was wonderful. Have I mentioned how much I love Victorian England? Because I do. 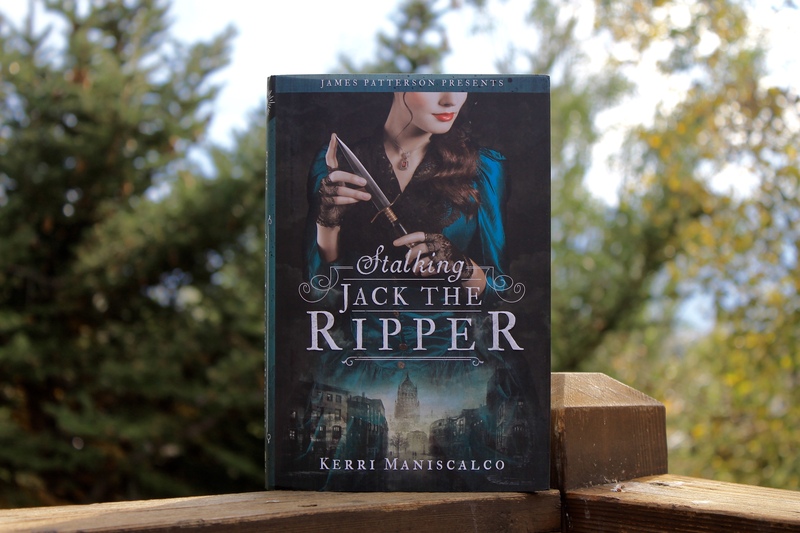 This book is set in 1888 right when Jack the Ripper is terrorizing the city with his infamous murders. Maniscalco does a great job at really giving insight into what life back then was like, especially for young women like Audrey Rose. A lot of historical fiction books don’t really do this, or at least not that well, but in this book it was done really well actually. I loved the writing as well. It’s told in first person from Audrey Rose’s point of view, but is still so full of dazzling detail and description. It’s not the same as if it was told in third person, but Kerri Maniscalco still did a wonderful job with writing beautifully while still being able to hear Audrey Rose’s thoughts. The only reason I gave it 4.5 stars instead of 5 was because, like I said, it was pretty slow and hard to get into at first. Other than that though, I pretty much loved everything about this book. It was a wonderful but very dark and creepy story. I don’t know if I would go so far as to call it a horror, but there were definitely some very creepy aspects. Stalking Jack the Ripper was a wonderful debut, I can’t wait to read more of Maniscalco’s books.